THE CUSTODIAN is the UK's newest and most exciting progressive rock band. Formed in late 2012, the band is already primed to release their debut offering Necessary Wasted Time this June 18th via The Lasers Edge. The album is available for pre-order on Amazon. Today Gun Shy Assassin is hosting an exclusive full album stream of Necessary Wasted Time. Get a first listen to the record in its entirety HERE. The band's video for the song "Stop Talking" can be viewed HERE. The song "Other People's Lives" is available to stream HERE. 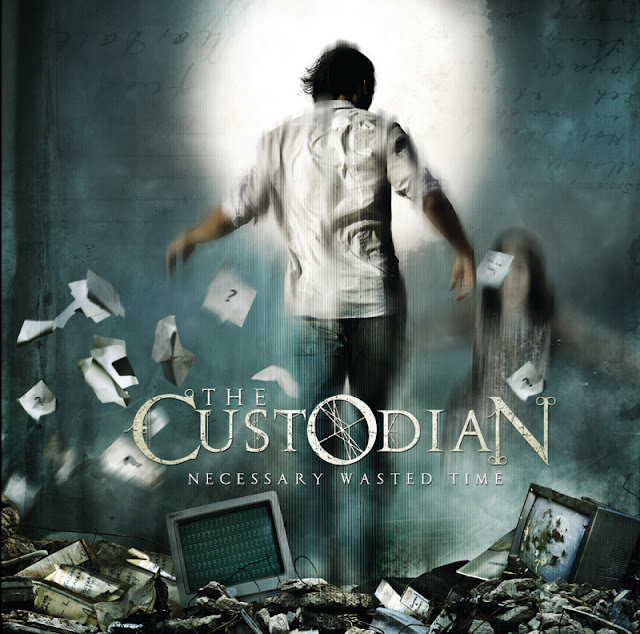 THE CUSTODIAN band is lead by British musician Richard Thomson, better known as the vocalist of progressive metal group Xerath. The project was initially started in a bedroom in Warwickshire and has now, after several years of lying dormant due to other commitments, become a fully-fledged band ready to take the prog rock world by storm. Commenting on the release, Richard states "I love so many types of music, it was impossible for me not to start something completely different from my other band. I have a particular affection for progressive music from the 70's and wanted to create something in that vein, and hopefully, something new and exciting!" The band takes influence not only from prog rock, but anything and everything else that fits. Expect lots of beautiful acoustic passages, warm synth, tasteful leads, complex drumming and great production. The album was recorded by the band in their home studio, mixed by Danish producer Jacob Hansen and mastered by Bob Katz. The artwork was created by British artist Colin Marks of Rainsong design.